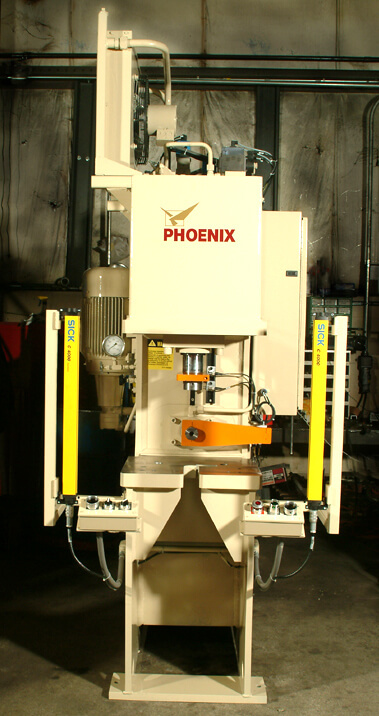 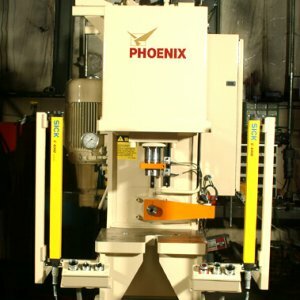 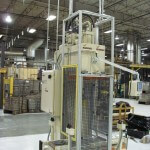 This press is a 25 Ton press that has an additional 15 Ton horizontal cylinder. 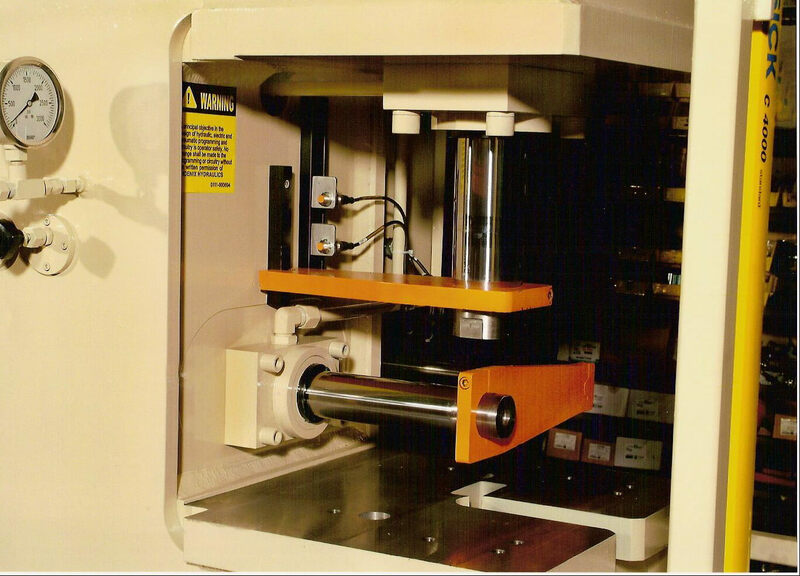 The stroke of the vertical cylinder is 4″ and the stroke of the horizontal cylinder is 8″. 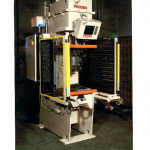 This C-Frame features a light curtain to guard the front of the press along with Lexan side guards. 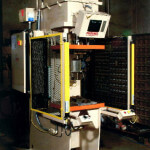 A larger enclosure and power supply were added, and the capacity of the PLC was increased compared to a standard press. 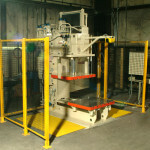 Complete press specifications available on request.